Longtime readers know I generally am not a fan of song covers, but exceptions exist. That’s a fact. No surprise here: Anthony Davis is the Big Man. Bruce Springsteen is a prolific recording artist and live performer, but if you had to limit yourself to just one of his albums, the decision process would be easy: it’d be his Live at Hammersmith Odeon without question. 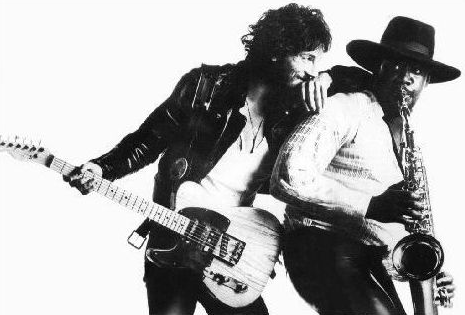 I cannot imagine a better introduction to Springsteen and the E Street Band than that album and today’s selected Jam, which includes a literal introduction, in particular. The leadup to Super Bowl XVII has gotten a little raucous around here, and I promise it wasn’t planned that way. First, make sure you sign the petition, and then check out all of our Super Bowl coverage. You won’t regret it. The New Orleans Superdome has hosted a series of big football games over the past few days, including the Sugar Bowl, a Saints playoff game, and now the BCS national championship game tonight.